The BEST WESTERN Hotel Sommerau in Chur is a modern and trendy 3 star lifestyle cityhotel. 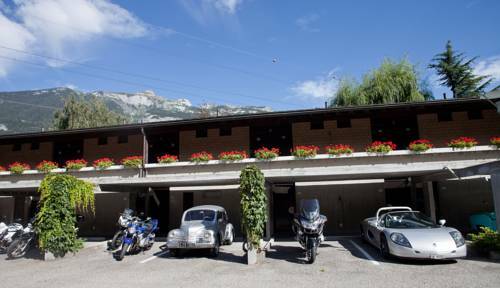 Situated at the entrance of the city, perfectly located to be reached by car, the hotel is a good place to start your tours and excursions over mountain passes and along the the breathtaking nature in the department "Grisons". Each room offers a private entrance and a covered parking place right outside the room - your car will be parked for free! Our stylish la carte restaurant "Sommerau" offers mediterranean and seasonally oriented specialities. Also the breakfast will be served at the restaurant "Sommerau". Hotel guests receive free access to the WLAN and are allowed to use the nearby fitness center/gym "Body plaza" for their daily work out. The hotel got renovated in the last years, in 2011 the front office/lobby got a refreshment and in 2012 the meeting rooms and 22 guest rooms have been remade. Multilingual staff at the hotel and in the restaurant! Enjoy your stay.